After spending her summers at her families cottage on Gull Lake, Michelle decided that it was time to make a change and move up to the area that made her the happiest. Michelle has lived full time in Haliburton for almost four years and has established roots in both Haliburton and Kennisis Lake. 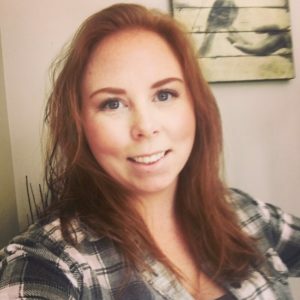 Prior to moving to Haliburton, and working as Chief Administrator at Haliburton Solar and Wind, Michelle graduated from Wilfrid Laurier University with Duo Honours in Criminology and Health Studies. Living abroad for two years in Australia and South Korea, Michelle gained valuable experience in workshop facilitation. This has led to collaboration with a variety of renewable industry leaders to bring events and workshops to Haliburton Solar and Wind’s demonstration centre. Michelle keeps up to date on legislative changes in renewable energy and constantly researches changes in legislation to better assist you, our customer. Michelle’s role at Haliburton Solar and Wind is a fluid one, and she enjoys working with our customers, as well as suppliers, to implement solutions to their energy needs.